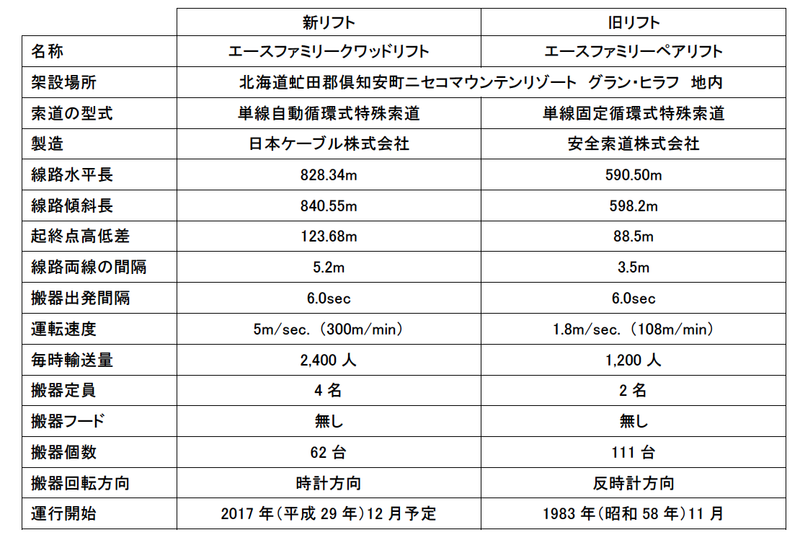 Tokyu Land Corporation (HQ: Minato City, Tokyo; President: Yuji OKUMA) together with Niseko Tokyu Resort Co., Ltd. (HQ: Abuta-gun, Hokkaido; President: Tomoyuki HAYAKAWA) and Tokyu Resort Service Co., Ltd. (HQ: Minato City, Tokyo; President: Tomoyuki HAYAKAWA) would like to announce the finalized plan to upgrade the Ace Family Pair Lift, which is located in the beginners area on the lower slopes of Niseko Mt. 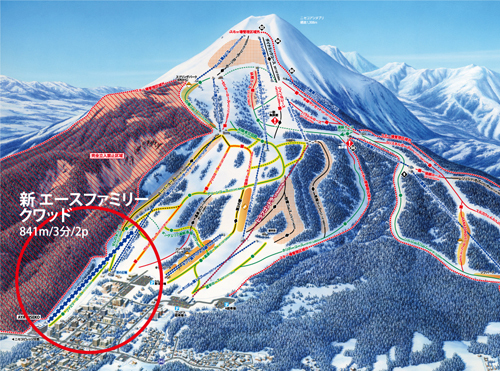 Resort Grand HIRAFU, the ski resort in Kutchan, Abuta-gun, Hokkaido which we manage and operate. 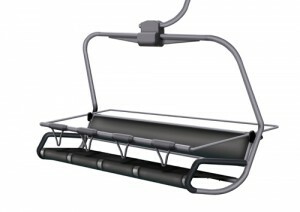 The upgraded lift is set to start operating in December this year. Niseko area has been attracting attentions from all over the world as a premium international ski resort. 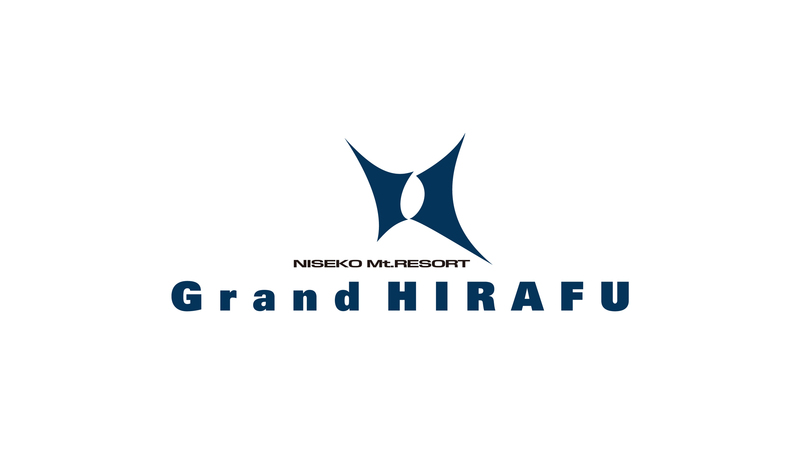 Every year, more and more skiers and snowboarders from Japan and around the world have been visiting Niseko Grand HIRAFU, which had around 480,000 visitors in the 2016/17 season alone. 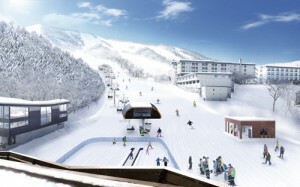 The resort has recently also been gaining popularity in other Asian countries, leading to a huge increase in the number of beginner skiers and snowboarders hitting the slopes. Moreover judging by the increase in foreign-run hotels, opening of new condominiums, anticipation over a potential Sapporo Winter Olympics, and plans to extend the freeway system and add new sections to the Hokkaido Shinkansen, Niseko’s popularity looks set to keep on growing in the years to come. 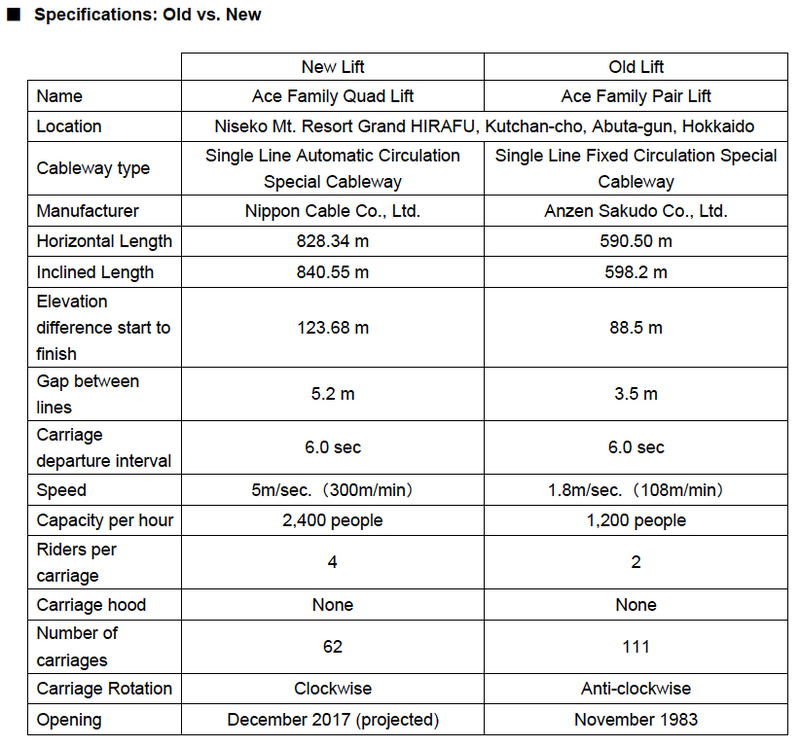 Replacing the Ace Family Pair Lift, construction of which was completed in November 1983, with a high-speed quad lift will help reduce congestion by carrying an additional 1,200 people every hour. We are expecting a significant decrease in lift waiting time, which had been as long as one hour at peak times. 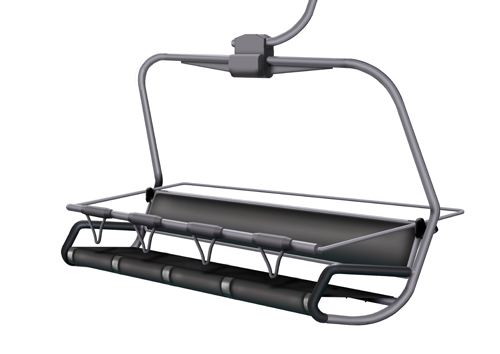 The new quad lift will also be more comfortable for beginner skiers and snowboarders, since it is designed to slow to a speed of 0.8 meters/second at the point of disembarkation. The upgrade will also involve the repositioning of the Sanroku and Sancho Stations, the lift’s start and end points. 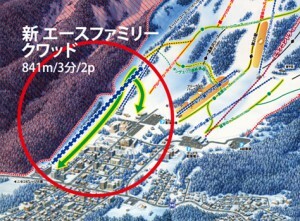 By moving the Sancho Station, the lift’s end point, upslope to the top of the Sennoki Course (above the Family Course), we aim to improve usability by easing congestion on beginners courses, creating a new link from the Sennoki Course to the Alpen Course/King area, and improving access to the .Base Ski Center, HIRAFU Parking Lot #1, and the King area. Since 2011, Niseko Tokyu Resort Co., Ltd. has been making large-scale investments in Niseko Mt.Resort Grand HIRAFU, including building two new ski centers, upgrading the Hirafu Gondola, installing suite rooms in the Hotel Niseko Alpen, and, in 2016, upgrading the King Lift #3 to a high-speed quad lift. 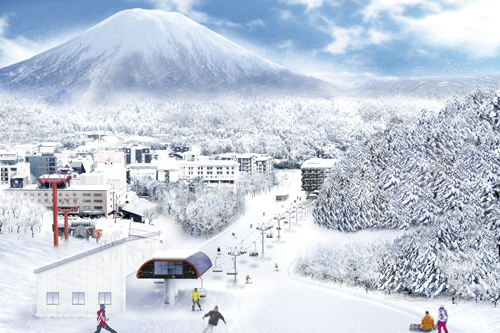 We at Tokyu Land Corporation will continue to implement a range of initiatives aimed at further vitalizing the Niseko Hirafu area. 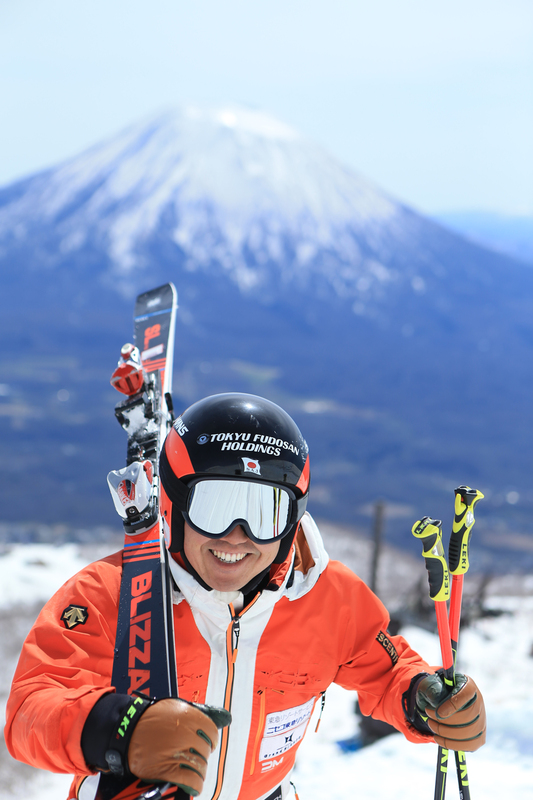 Thank you for your continued patronage of Niseko Mt. 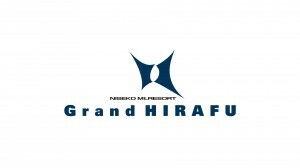 Resort Grand HIRAFU. We now open for foreign instructors position who has Japanese Skilled Labor VISA. How would you like to work snow school managed by us? 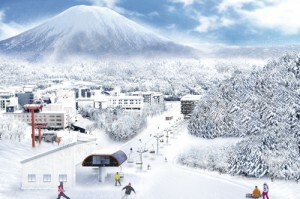 You will surely have a great experience, and enjoy working with us in magical Niseko winter. Meet the requirements of 36 months of ski teaching experience for a skilled labor visa. A person who havs a nice hospitality for costomers of begginers to exparts. You can stay in a dormitory for workers.